Being famous would be tough at times. Being constantly scrutinized by the entire world for your every move would surely be draining, and it would be tough at times to not bite back. 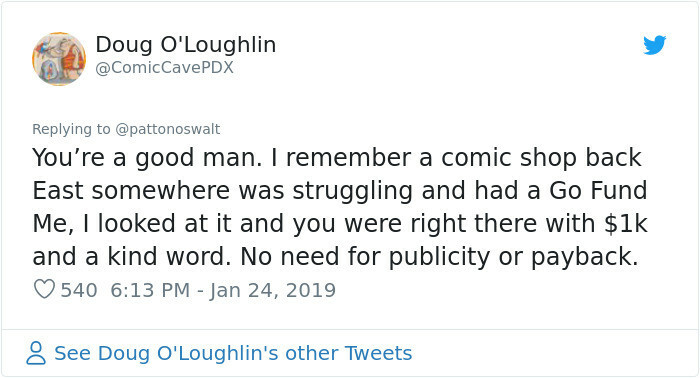 Patton Oswalt is known for biting back fairly often, normally with hilarious results. This time though, he made a different choice. 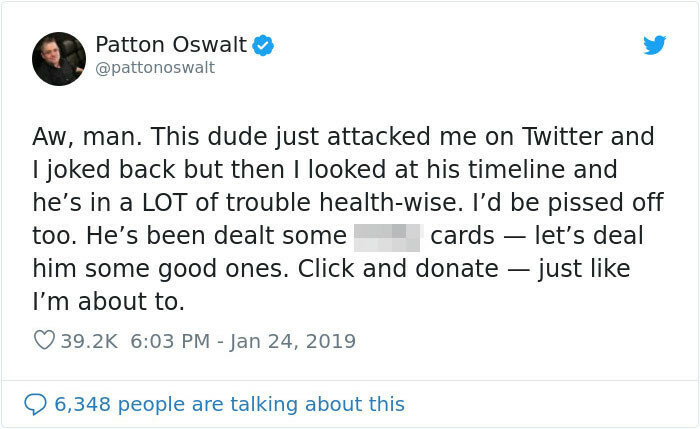 After posting some anti-Trump replies, Patton was met with ridicule from a certain Twitter user. 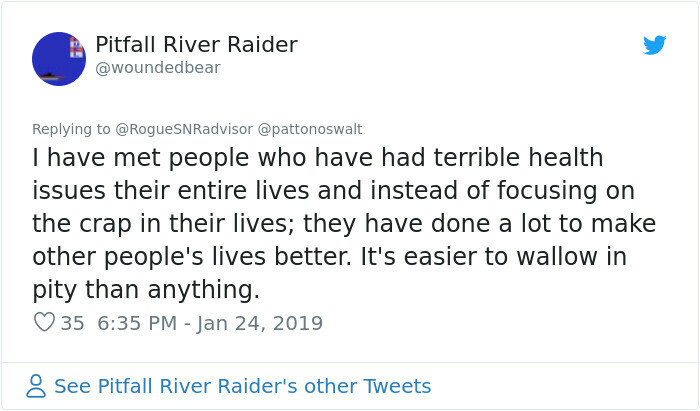 They had a bit of chat back and fourth about their conflicting reviews, before Patton realized that the guy was actually a Vietnam war veteran who was not in a good way and was currently seeking some donations to help with his massive medical bill. 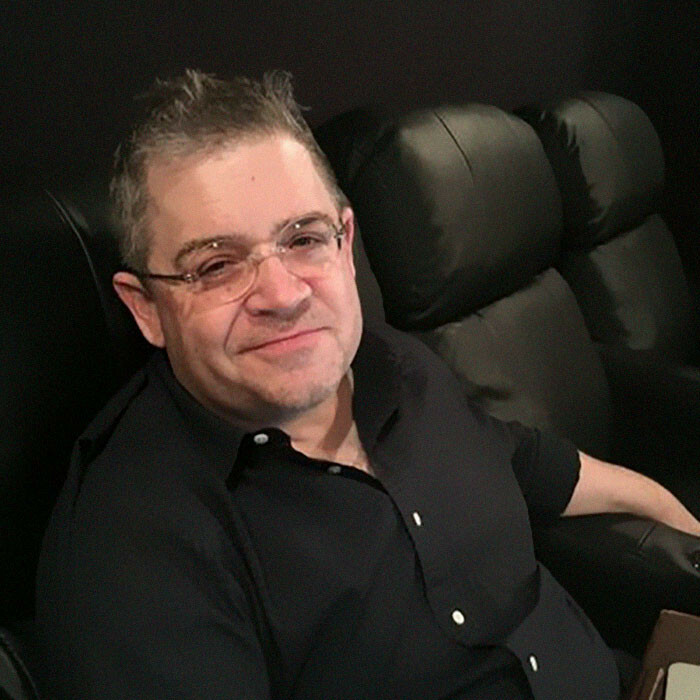 What Patton chose to do is an important lesson for us all about the way we treat each other. Donald Trump's original tweet that kicked everything off. 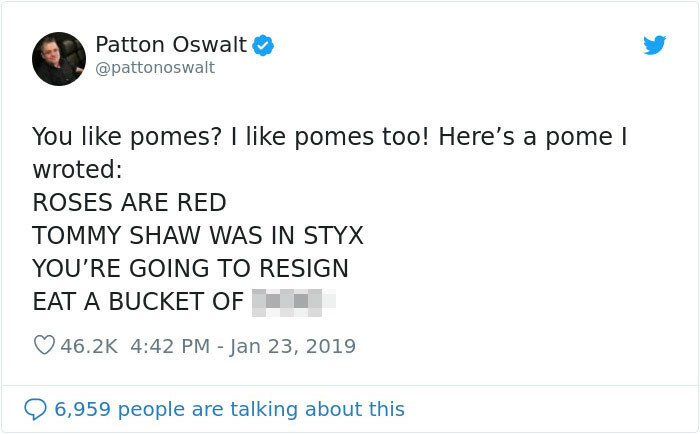 Patton's response with his usual humor. 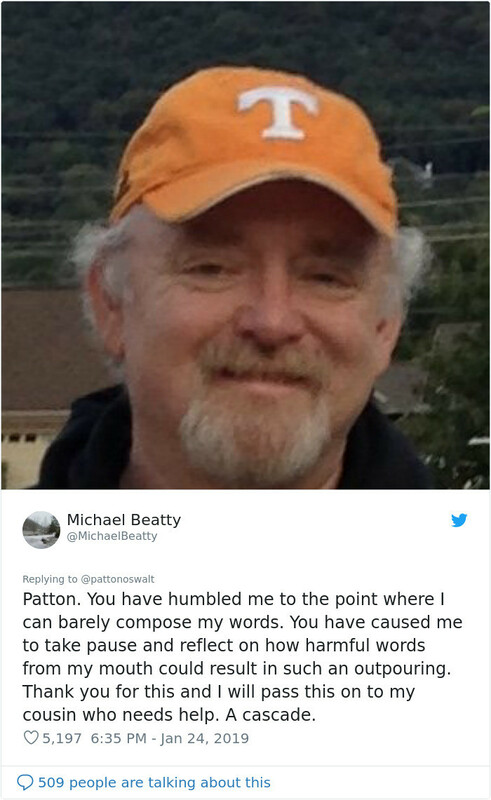 Beatty (the war veteran)'s response. And continues with more insults! Patton realizes that this guy has had a hard run of it in his life after serving his country. 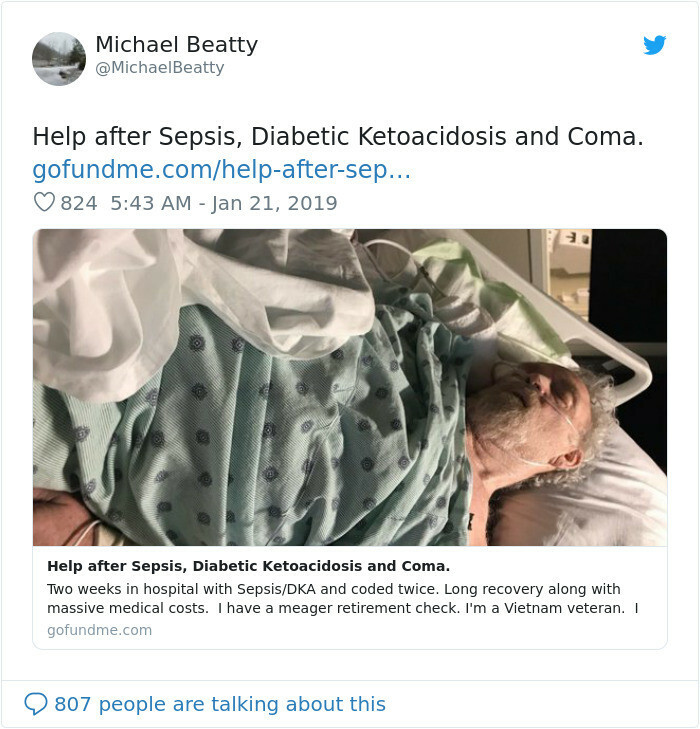 He has a GoFundMe setup to help with his medical bills. 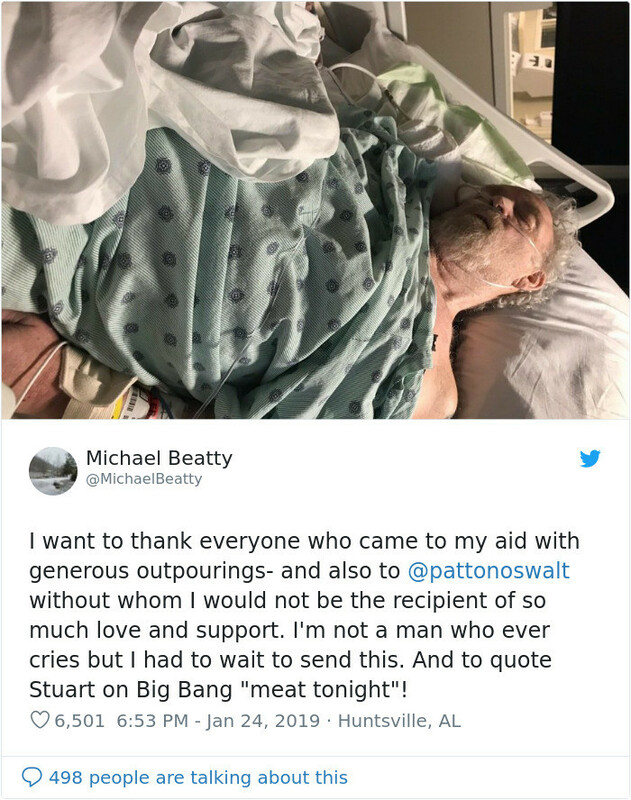 Beatty realizes that Patton has made a $2000 donation and takes to Twitter to thank him, a really touching moment between these two strangers with very different views on the world. Patton came back the only way he knows how - straight back to the smack talk! 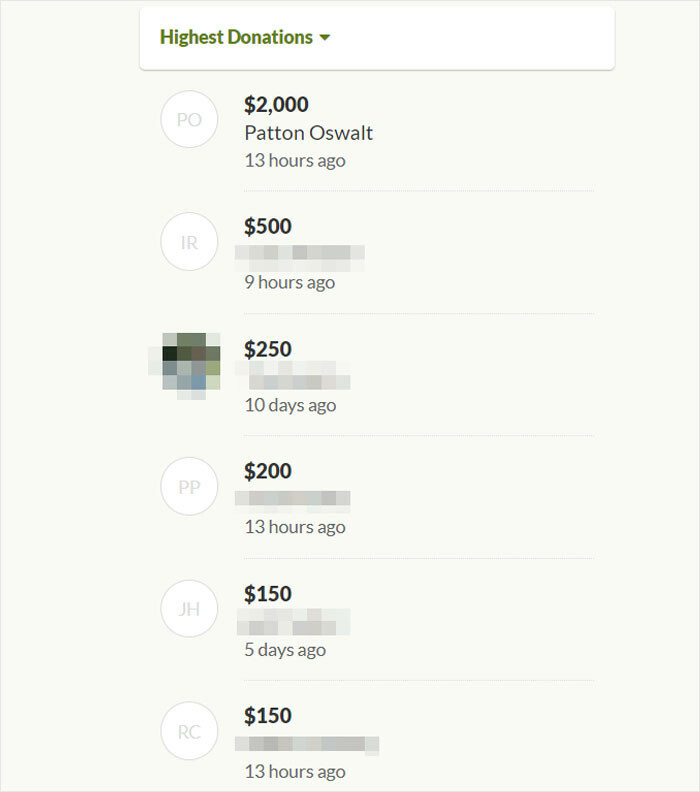 After Patton shared the story the donations started to flow in! People thought this was truly touching and an important lesson so they left a few thoughts! No matter the political views! Not very hard at all. More truth for these guys!